We were lucky enough to spot two Black Harrier adults in two separate locations. Later when I chatted to Rob Simmons of the Fitz Institute (Mr Black Harrier himself) he mentioned that he and a student had not managed to see a single Harrier in a trip up there 3 weeks before. Lucky, lucky us! We also spotted a gazillion Rock kestrels. They are such wonderfully agile little raptors. This one (and his partner) was very agitated with us as we sat and had a snack on the edge of the canyon. There must have been a nest close by. 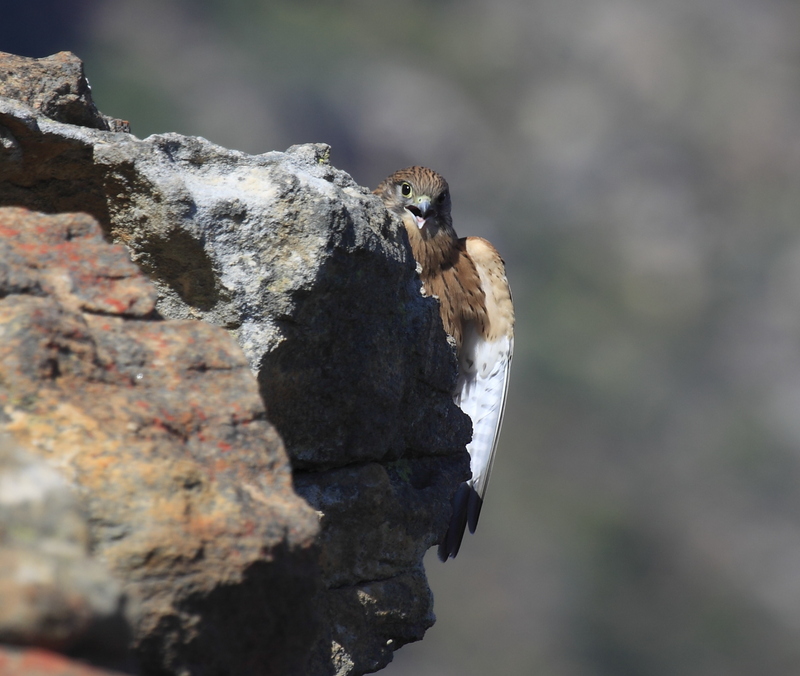 They eyed us out constantly, leaving the rocky ledge frequently to hover and swear at us on the wing. There were one or two other really big sighting highlights for us on this trip….an African Wild Cat leaping across the road (striped tail and all), a Freckled nightjar doing its bat-like flitting and calling outside our cottage just after dusk, a glorious little Bat-eared fox family (two babies) with Mum and Dad right on the side of the road and then a Cape Fox….very skittish and leaping away from us, across a field. I left the Groot Karoo with the image of that little Bat-eared fox family in my mind, and I had to wonder how much of a struggle it is for these and all the other creatures to survive in this environment. 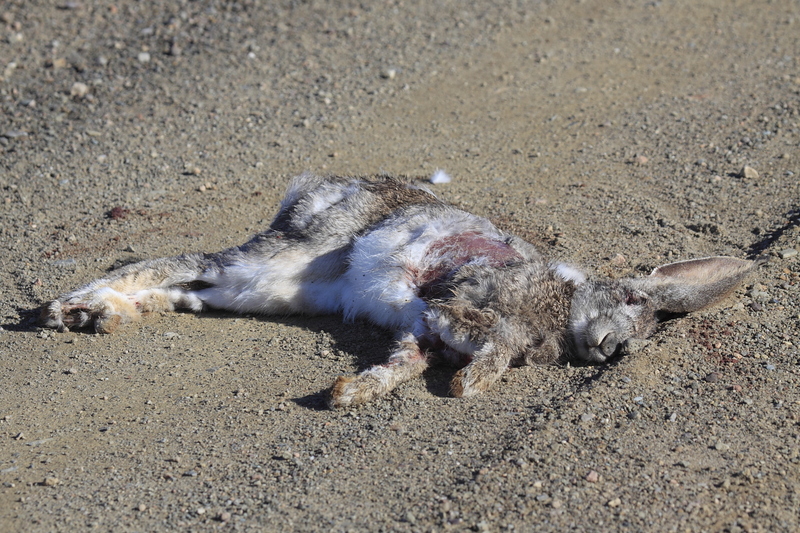 The odds are stacked against them, what with the traffic (we came across this very sad road kill casualty from the previous night – a large hare), fences at every turn, and, tragically…farmers with guns and traps. BUT, we saw so much and this means that creatures are incredibly resilient and (I live in hope on this one) that farmers are starting to come around to friendlier, more sustainable ways. Seeing so many raptors is always a very good indicator indeed. So well written as always – and such a good point on moving road kills – we should all do it!